Suggestion Name: Vans TMP Suggestion Description: Add the present vans to the TMP event for the players. Any example images: Why should it be added? :﻿﻿﻿﻿Cale would add content to TruckersMP, without much work for developers because it is already implemented for some TMP event server. Suggestion name: Make slippery roads in the wintermod Suggestion description: It would be nice to see slippery roads in the (next) wintermod. For example: when you brake, it takes longer to stop and when you accelerate your wheels will start to spin. In the previous wintermods the breaking distance was the same as without the mod (not that realistic ). Any example images/video’s: Nope (not yet) Why should it be added? : Slippery roads would be more realistic instead of normal roads (so 'non-slippery' roads). I also think more people would download the mod if this will be added. Scandinavia DLC Release Date Confirmed? Hello! I know many of you will buy the new DLC from SCS. The Scandinavia DLC, but do you even know the release date? I have found one that may be correct in form of what SCS have said themself's. 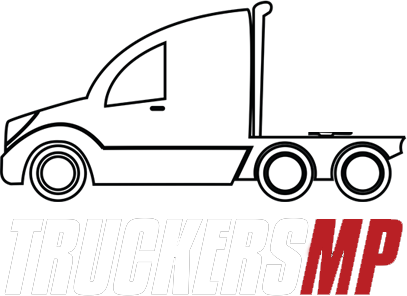 I got the link to where you can pre-order the DLC and American Truck Simulator. It says 4th of February. Well.. does that mean the DLC or the ATS? Link: http://www.amazon.co.uk/Euro-Truck-Simulator-Scandinavia-Add/dp/B00M6SFN9W Greetings!